Am I Able to Change My Name After I Go Through a Divorce? Posted in Divorce | Comments Off on Am I Able to Change My Name After I Go Through a Divorce? Can a Child Make a Decision to Stop Visitation Altogether? Posted in Child visitation, Children, Divorce, Parental rights | Comments Off on Can a Child Make a Decision to Stop Visitation Altogether? 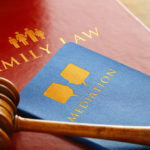 What Are Some Reasons for Modifying a Custody Order? 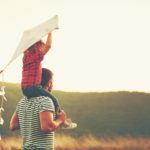 Posted in Child visitation, Children, Parental Relocation, Parental rights, Visitation Rights | Comments Off on What Are Some Reasons for Modifying a Custody Order? Why do we Divorce? Are we Ready for it? Posted in Divorce, Marriage | Comments Off on Why do we Divorce? Are we Ready for it?